Вальпроевая кислота в высоких дозах, блокируя гистондеацетилазы, модифицирует функционирование многих генов. В результате (при введении в пренатальном периоде) у потомства лабораторных животных возникает фетальный вальпроатный синдром, рассматриваемый в качестве модели заболеваний аутистического спектра. В обзоре охарактеризованы особенно­сти состояния и деятельности мозга при фетальном вальпроатном синдроме на разных уров­нях: от молекулярного и клеточного до поведенческого. Специальное внимание уделено особенностям социального взаимодействия, в наибольшей степени соответствующим проявлениям аутистического расстройства. Представлены как данные литературы, так и результаты собст­венных исследований авторов. 1. Myers S.M., Johnson C.P. Management of children with autism spectrum disorders // Pediatrics. 2007. Vol. 120. N 5. P. 1162—1182. 2. Rapin I., Tuchman R.F. Autism: definition, neurobiology, screening, diagnosis // Pediatr. Clin. North. Am. 2008. Vol. 55. N 5. P. 1129—1146. 3. Hellings J.A., Nickel E.J., Weckbaugh M., McCarter K., Mosier M. The overt aggression scale for rating aggression in outpatient youth with autistic disorder: preliminary findings // J. Neuropsychiatry Clin. Neurosci. 2005. Vol. 17. N 1. P. 29—35. 4. Christensen J. Prenatal valproate exposure and risk of autism spectrum disorders and childhood autism // J. Am. Med. Assoc. 2013. Vol. 309. N 16. P. 1696—1703. 5. Rodier P.M., Ingram J.L., Tisdale B., Croog V.J. Linking etiologies in humans and animal models: studies of autism // Reprod. Toxicol. 1997. Vol. 11. N 2—3. P. 417—422. 6. Schneider T., Przewlocki R. Behavioral alterations in rats prenatally exposed to valproic acid: animal model of autism // Neuropsychopharmacology. 2005. Vol. 30. N 1. P. 80—89. 7. Chen P.S., Wang C.C., Bortner C.D., Peng G.S., Wu X., Pang H., Lu R.B., Gean P.W., Chuang D.M., Hong J.S. Valproic acid and other histone deacetylase inhibitors induce microglial apoptosis and attenuate lipopolysaccharide­induced dopaminergic neurotoxicity // Neuroscience. 2007. Vol. 149. N 1. P. 203—212. 8. Roullet F.I., Wollaston L., Decatanzaro D., Foster J.A. Behavioral and molecular changes in the mouse in response to prenatal exposure to the anti­epileptic drug valproic acid // Neuroscience. 2010. Vol. 170. N 2.P. 514—522. 9. Go H.S., Kim K.C., Choi C.S., Jeon S.J., Kwon K.J., Han S.H., Lee J., Cheong J.H., Ryu J.H., Kim C.H., Ko K.H., Shin C.Y. Prenatal exposure to valproic acid increases the neural progenitor cell pool and induces macrocephaly in rat brain via a mechanism involving the GSK­3/­catenin pathway // Neuropharmacology. 2012. Vol. 63. N 6. P. 1028—1041. 10. Chomiak T., Turner N., Hu B. What we have learned about autism spectrum disorder from valproic acid // Patholog. Res. Int. 2013. Vol. 2013. P. 1—8. 11. Bescoby C.N., Forster P., Bates G. Fetal valproate syndrome and autism: additional evidence of an association // Dev. Med. Child. Neurol. 2001. Vol. 43. N 12. P. 847—857. 12. Малышев А.В. Экспериментальное моделиро­вание расстройств аутистического спектра и депрессии; поиск путей пептидергической коррекции: Автореф. дис. ... канд. биол. наук. М., 2014. 25 с. 13. Favre M.R., Barkat T.R., Lamendola D., Khazen G., Markram H., Markram K. General developmental health in the VPA­rat model of autism // Front. Behav. Neurosci. 2013. Vol. 7. Art. 88. P. 1—11. 14. Narita M., Oyabu A., Imura Y., Kamada B., Yokoyama T., Tano K., Uchida A., Narita N. Nonexploratory movement and behavioral alterations in a thalidomide or valproic acid­induced autism model rat // Neurosci. Res. 2010. Vol. 66. N 1. P. 2—6. 15. Kerr D.M., Downey L., Conboy M., Finn D.P., Roche M. Alterations in the endocannabinoid system in the rat valproic acid model of autism // Behav. Brain Res. 2013. Vol. 249. P. 124—132. 16. Matson J.L., Williams L.W. Depression and mood disorders among persons with autism spectrum disorders // Res. Dev. Disabil. 2014. Vol. 35. N 9. P. 2003—2007. 17. D’Adamo M., Moro F., Imbrici P., Martino D., Roscini M., Santorelli F., Sicca F., Pessia M. The emerging role of the inwardly rectifying K+ channels in autism spectrum disorders and epilepsy // Malta Medical Journal. 2011. Vol. 23. N 3. P. 1—8. 18. 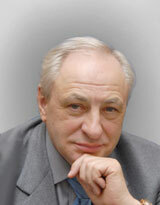 Malyshev A.V., Razumkina E.V., Dubynin V.A., Myasoedov N.F. Semax corrects brain dysfunction caused by prenatal introduction of valproic acid // Dokl. Biol. Sci. 2013. Vol. 450. N 1. P. 126—129. 19. Stovolosov I.S., Dubynin V.A., Kamensky A.A. Role of the brain dopaminergic and opioid system in the regulation of “child’s” (maternal bonding) behavior of newborn albino rats // Bull. Exp. Biol. Med. 2011. Vol. 150. N 3. P. 281—285. 20. Papaioannou A., Dafni U., Alikaridis F., Bolaris S., Stylianopoulou F. Effects of neonatal handling on basal and stress­induced monoamine levels in the male and female rat brain // Neuroscience. 2002. Vol. 114. N 1. P. 195—206. 21. Miyagi J., Oshibuchi H., Kasai A., Inada K., Ishigooka J. Valproic acid inhibits excess dopamine release in response to a fear­conditioned stimulus in the basolateral complex of the amygdala of methamphetamine­sensitized rats // Eur. J. Pharmacol. 2014. Vol. 730. P. 20—25. 22. Lee S., Jeong J., Park Y.U., Kwak Y., Lee S.A., Lee H., Son H., Park S.K. Valproate alters dopamine signaling in association with induction of Par­4 protein expression // PLoS One. 2012. Vol. 7. N 9. P. 1—8. 23. Carlson G.C. Glutamate receptor dysfunction and drug targets across models of autism spectrum disorders // Pharmacol. Biochem. Behav. 2012. Vol. 100. N 4. P. 850—854. 24. Spooren W., Lindemann L., Ghosh A., Santarelli L. Synapse dysfunction in autism: a molecular medicine approach to drug discovery in neurodevelopmental disorders // Trends Pharmacol. Sci. 2012. Vol. 33. N 12. P. 669—684. 25. Oyabu A., Narita M., Tashiro Y. The effects of prenatal exposure to valproic acid on the initial development of serotonergic neurons // Int. J. Dev. Neurosci. 2013. Vol. 31. N 3. P. 202—208. 26. Kinast K., Peeters D., Kolk S.M., Schubert D., Homberg J.R. Genetic and pharmacological manipulations of the serotonergic system in early life: neurodevelopmental underpinnings of autism­related behavior // Front. Cell. Neurosci. 2013. Vol. 7. N 72. P. 1—17. 27. Хачева К.К., Гедзун В.Р., Рогозинская Э.Я., Та­наева К.К. Роль ­казоморфина­7 в коррекции нару­шений материнского поведения крыс, вызванных пре­натальным воздействием вальпроата натрия // Тезисы докладов Международной научной конференции студен­тов, аспирантов и молодых ученых “Ломоносов­2014”. М.: МАКС Пресс, 2014. С. 331. 28. Kirino E. Efficacy and tolerability of pharmacotherapy options for the treatment of irritability in autistic children // Clin. Med. Insights Pediatr. 2014. Vol. 8. P. 17—30. 29. Almeida L.E., Roby C.D., Krueger B.K. Increased BDNF expression in fetal brain in the valproic acid model of autism // Mol. Cell. Neurosci. 2014. Vol. 59. P. 57—62. 30. Dolotov O.V., Karpenko E.A., Inozemtseva L.S., Seredenina T.S., Levitskaya N.G., Rozyczka J., Dubynina E.V., Novosadova E.V., Andreeva L.A., Alfeeva L.Yu., Kamensky A.A., Grivennikov I.A., Myasoedov N.F., Engele J. Semax, an analog of ACTH(4—10) with cognitive effects, regulates BDNF and trkB expression in the rat hippocampus // Brain Res. 2006. Vol. 1117. N. 1. P. 54—60. Малышев А.В., Аббасова К.Р., Аверина О.А., Соловьёва Л.Н., Гедзун В.Р., Гуляев М.В., Дубынин В.А. ЭКСПЕРИМЕНТАЛЬНАЯ МОДЕЛЬ АУТИСТИЧЕСКОГО РАССТРОЙСТВА — ИНДУЦИРОВАННЫЙ ФЕТАЛЬНЫЙ ВАЛЬПРОАТНЫЙ СИНДРОМ. Вестник Московского университета. Серия 16. Биология. 2015;(3):8-12.